A year ago we heard a rumor that a group of women were planning to march for women's issues in Washington D.C. Here we are at the 2017 Women's March on Washington! "Should we go? Is this thing actually going to happen?" "If it ends up making history, we want Girls With Ideas to be a part of it. This is what we want for the future. Maybe it starts here...?" So, we booked our flights. 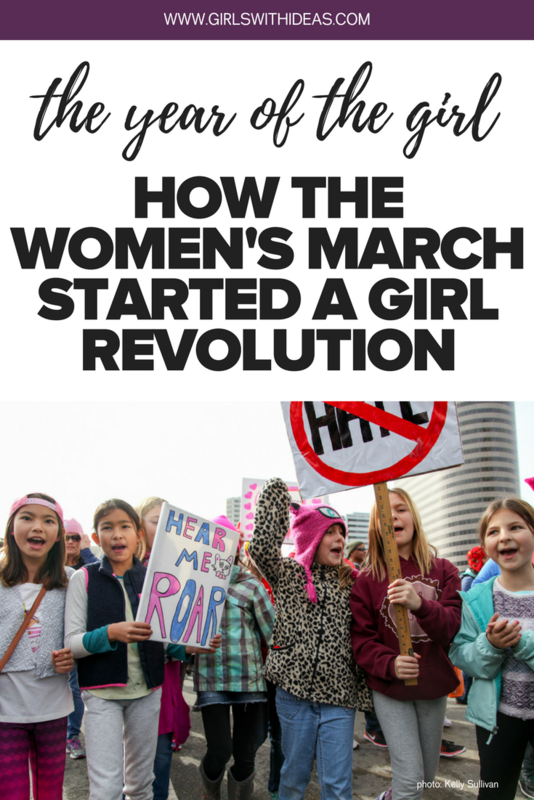 And we marched from what we now know was the start line of a brand new girl revolution. We marched for a future full of confidence, creativity, and leadership for girls and women everywhere; read our #WhyIMarch blog here! A year later, days after Oprah wowed us all with an earth-shattering rallying cry, we are in awe of how far we've come. Better yet, we are inspired at how far we might go. On January 21, 2017 millions of people gathered in Washington D.C. and around the world to march for women's rights. The mission of the Women's March is to "harness the political power of diverse women and their communities to create transformative social change." A year later, the organization continues its activism through several initiatives. On January 20, 2018, anniversary marches will take place around the world and a day later the Women's March will present Power to the Polls in Las Vegas, Nevada. We believe the Women's March organization helped unify us around a common cause: us! We are grateful for all they've done in the last year, and can't wait to see what they do in 2018. Check out the Women's March youth coalition, Empower. Their goal is to provide tools to high school and college students to create chapters that make an impact in their communities. Congress now has a record number of women, with 106 (out of 435) female House members and 22 (out of 100) female Senators. Let's not pretend that 20% of anything is enough--WE ARE 51% OF THE POPULATION, LADIES--but we believe that this upswing in female representation is important, no matter how far we have left to go. We're so grateful for organizations like Emily's List and She Should Run that are helping women run for (and win!) office; just this year, we went from 1,000 women seeking information about running for political office to 26,000! It gets better. This year our lady lawmakers are more diverse than ever. Senator Mazie Hirono (D-Hawaii) is the first Asian American woman elected and only the second minority woman to ever serve in the Senate. Democrat Kamala Harris (California) is the second black woman to serve in the Senate and the very first woman of South Asian descent. Catherine Cortez Masto (D-Nevada) is the first Latina to serve in the Senate. And finally Tammy Duckworth (D-Illinois) is a triple home run: she's the first Asian American woman elected to Congress in Illinois, the first disabled woman to be elected to Congress, and the first member of Congress born in Thailand. And there's more! In January of 2017, Tammy Baldwin (D-Wisconsin) was the first openly gay or lesbian person to serve in the Senate. And in November, Danica Roem (D-Virginia) became the first openly transgender state lawmaker to be elected. Girls with ideas grow up to become women with vision. When girls see women in leadership roles, it shows them that they, too, can occupy that space someday. We are so grateful for the women who are bold enough to put their names on the ballot, and we can't wait to see what other women take office in the coming years! She Should Run offers an online incubator for girls and parents who want to develop practical skills that will help her run for public office! The incubator boasts that it's totally not your typical online course. It offers "thoughtful, actionable guidance on how to build upon your qualifications, networks, personal story and leadership brand through the lens of public service." While you're in the incubator you're also part of a female community that is there to support you and help you grow. We love that you can do this with a young girl and help her connect with other future female leaders like her! The best part? It's totally free to you, they just ask that you pay it forward! 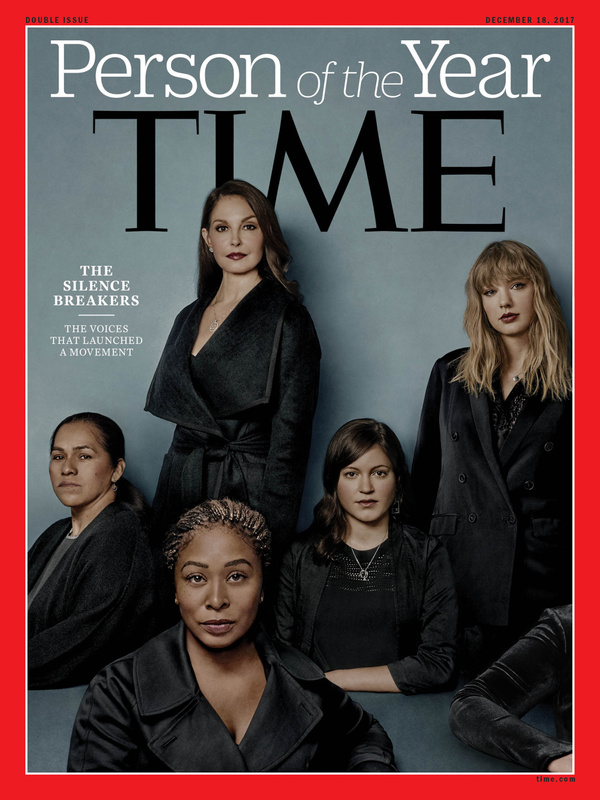 Originally created over a decade ago by social activist Tarana Burke, the phrase "me too" was a grassroots campaign to 'promote empowerment through empathy among women of color who had experienced sexual abuse, particularly within underprivileged communities.' Last October, actress Alyssa Milano catapulted this phrase onto center stage: "...'If all the women who have been sexually harassed or assaulted wrote 'Me too.' as a status, we might give people a sense of the magnitude of the problem.'" Within 24 hours, the hashtag #MeToo had been used by over 4.7 million people on Facebook and Twitter. And it didn't stop there. #MeToo has been a rallying cry heard around the world. It tells survivors that they are not alone, and they do not need to feel ashamed. For many, #MeToo lets them feel seen, heard, and understood. As we enter a new year for women, #MeToo is now part of our understood girl code, one we can continue to leverage to help us share empathy, join together, and rise up. If you or someone you know needs help, please call the National Sexual Assault Telephone Hotline at 800.656.HOPE (4673) to be connected with a trained staff member from a sexual assault service provider in your area. Oprah told us time's up! Our Girls With Ideas group text lit up during the Golden Globes--there was a lot happening in girl world! From black gowns to crystal clear call-outs (shout out to Debra Messing), it was clear that the night was not going to be your typical awards ceremony. Girrrrrrrrl. Did you hear that?! Oprah's inspirational speech at the Golden Globes set the girl-world on FIRE. Here we are, a year after the Women's March, a year into women taking office in record numbers, months into sharing our stories with each other, and THIS IS IT! THIS IS THE NEW DAY! LET'S GO!!! We don't mean to give her all the credit (or pressure--no pressure, okay Oprah? ), but we feel like this speech was THE exclamation point to a year of women and girls overcoming more than we ever have. Now, as we turn the page, Oprah describes a future we want to see! Girls, brace yourself. Our team has been so pumped up over all this good girl news that we got straight to work. INTRODUCING: THE GIRLS WITH IDEAS FINDing HER VOICE DIGITAL DOWNLOAD!!! Our brand new download will help you and your girl find her inner Oprah (we're only half-kidding) and learn how to communicate and advocate for herself and others. This activity guide includes fun, simple games you can do one-on-one at home. We'll show you how to help her find her voice, identify her leadership strengths, and communicate in a healthy, positive way. You only need a few materials, a little bit of time (you decide when and how you work on it!) and a girl with lots of potential (that part is easy, right?). Help a girl in your life learn how to find her voice and speak up! Whew! It was quite a year. As this girl revolution grows and grows, we can't wait to see what's in store. We want to hear from you, too! What are some of the big events that happened this year that you would include on this list? What do you plan to do to join the girl revolution? What kind of future do you want to see for women and girls? P.S. We've loved the song "One Girl Revolution" from Superchick for a long time. Turn up your volume and let's dance our way into an awesome year!